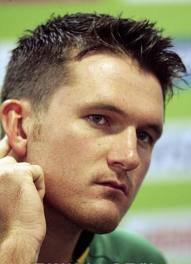 Sydney, Jan 11: South Africa captain Graeme Smith believes New Zealand's chances of making a strong comeback in the remaining matches of their ongoing Test series depends on them completely ignoring the criticism from back home. Approaching his 10th anniversary of being appointed Proteas Test captain and with a sense of fulfilment at seeing them develop into the world''s top-ranked team, Smith has faced his own challenges in his long leadership career, News. com. au reports. Smith said in the second Test match in Port Elizabeth, starting from Friday, new Kiwi captain Brendon McCullum''s strength of character and ability to ignore the criticism could be crucial to the tourists'' hopes of battling back from being bowled out for 45 in an innings loss in the first Test. Smith said after such an ignominious defeat, players often starts questioning their abilities, adding the key when there''s a lot of noise around you is to focus on how to get your team through that noise. The left-handed opening batsman said keeping the team focused at this point is very important for any team trying to make comeback after such a big defeat. The two teams at opposite ends of the rankings and their own development face off again at St George''s Park in the second and final match. New Zealand has responded to its one-sided loss at Newlands by calling two South African-born players into its match squad of 12 in a bid to be more aggressive against the home team.